THE RAINY DAY HOUSE: DIY's complete! A couple of projects are done and finished. I love them both! I started the canvas 2 weeks ago and just finished it last night. 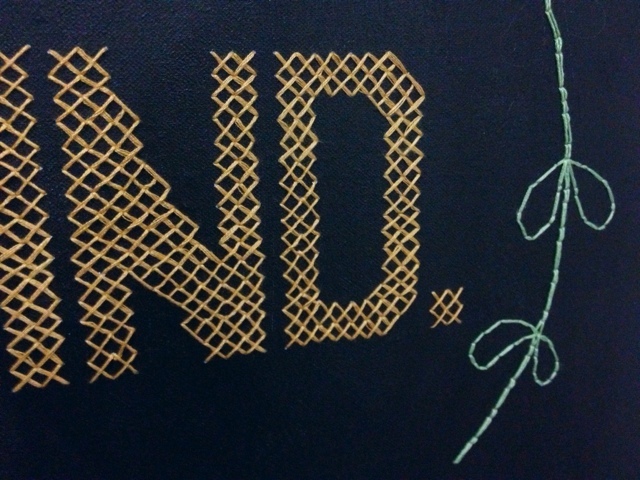 Cross stitching a canvas that size is actually quite tricky. I had it straddled between my legs like a harp as each stitch gave my arms a workout. It was exhausting! I absolutely love it and I am keen to make more. 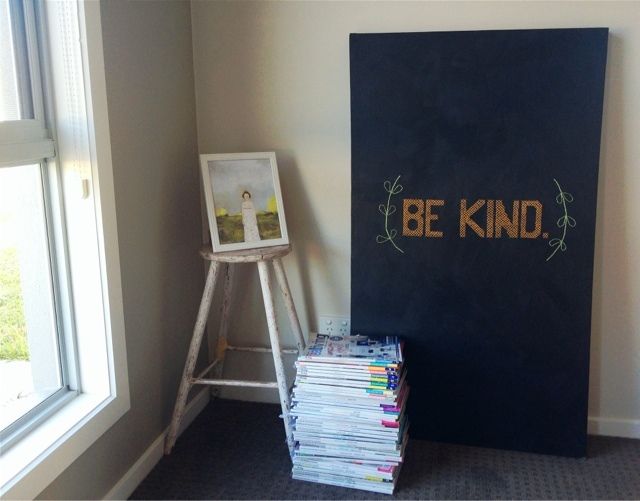 I have heaps of canvases from college that I want to repaint and do something with, and I think this will be it! Project number two was pretty simple. I ordered some photos from prinstagram (thanks for introducing us Carli!) and stuck them on the fridge. 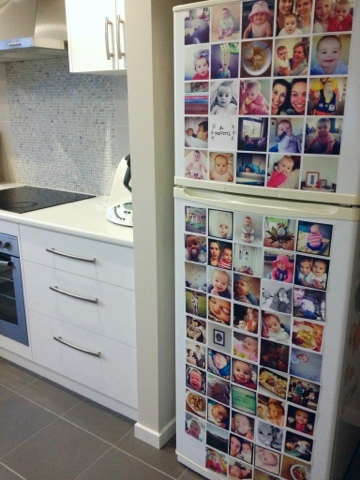 It turned our bland old fridge into something interesting. Though now it is obvious to me that most of my Instagram photos are of Nancy. She's a cutie!